A pair of milestones stood out during a busy 12-game Tuesday slate across the National Hockey League. 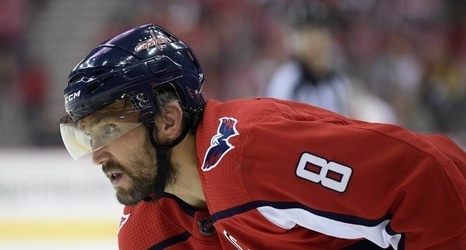 Washington's Alexander Ovechkin earned the title of top-scoring Russian in NHL history in the Capitals' win over Vancouver, while Boston's Patrice Bergeron celebrated his 1,000th-career NHL game with a pair of goals against the New York Islanders. In two of the biggest games of the night, Vegas and San Jose needed extra time to knock off Tampa Bay and Winnipeg, respectively. In total, three games were decided by overtime or a shootout, while five victorious teams scored five goals or more in one of the busiest nights since the All-Star break concluded.